A Trader Joe's grocery store has opened at 1109 North Highland St., just a 20-minute walk from downtown Rosslyn. The store is open from 8 am to 10 pm, 7 days a week. It offers free, underground parking for cars. Whether bike parking is also available in the underground parking lot isn't clear and is currently under investigation. You can contact the store by phone at 703-351-8015. 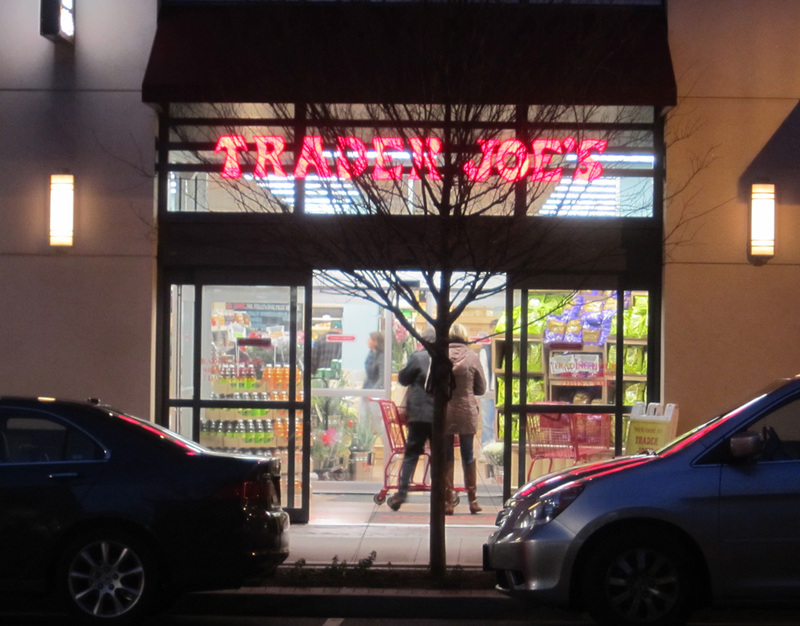 While the covert and alluring underground Safeway near the center of Rosslyn is likely to remain the go-to grocery store for pressing neighborhood needs, Trader Joe's offers exotica. For example, Trader Joe's offers organic butternut squash soup (low sodium), freeze-dried raspberries (unsweetened & unsulfered), and steamed & peeled baby beets. 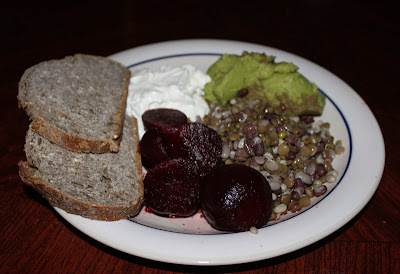 Use the baby beets, along with Greek yoghurt, avocado, sprouted lentils, mung, and adzuki beans, and homemade buckwheat hearth bread (if you're fortunate enough to have some) to prepare a folk delicacy known as odinar. Fast to prepare, and delicious! Trader Joe's new store sadly lacks a good assortment of manly vegetables. The store apparently doesn't carry asparagus, carrots, celery, etc. It carries Brussels sprouts stalks, which look like a post-apocalyptic mutant vegetable. 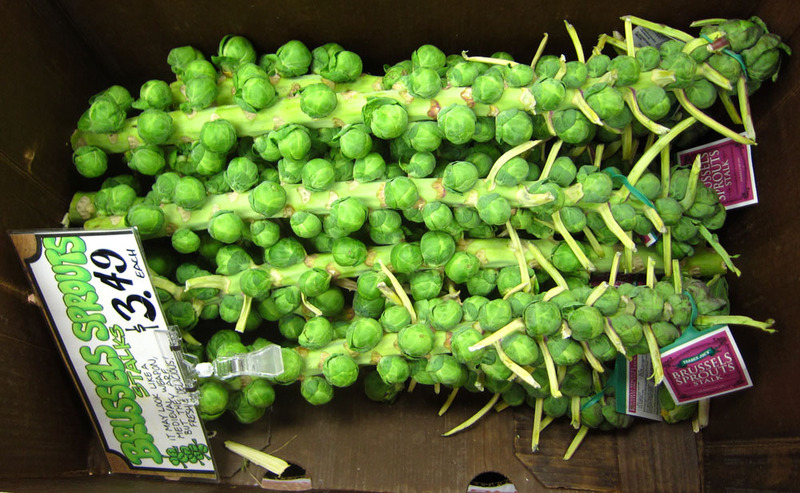 Stick with old-fashioned Brussel sprouts from Mexico. The dinner plate looks very yummy indeed. The colors and textures are all very inviting and appealing. 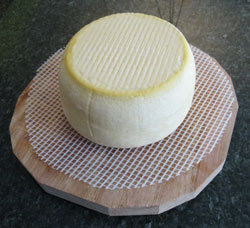 A prize-winning cheese-maker from Oregon made the buckwheat hearth bread. Among his other duties, the Tribune's beat reporter is required to make dinner for all the Tribune's staff. He made this dinner.